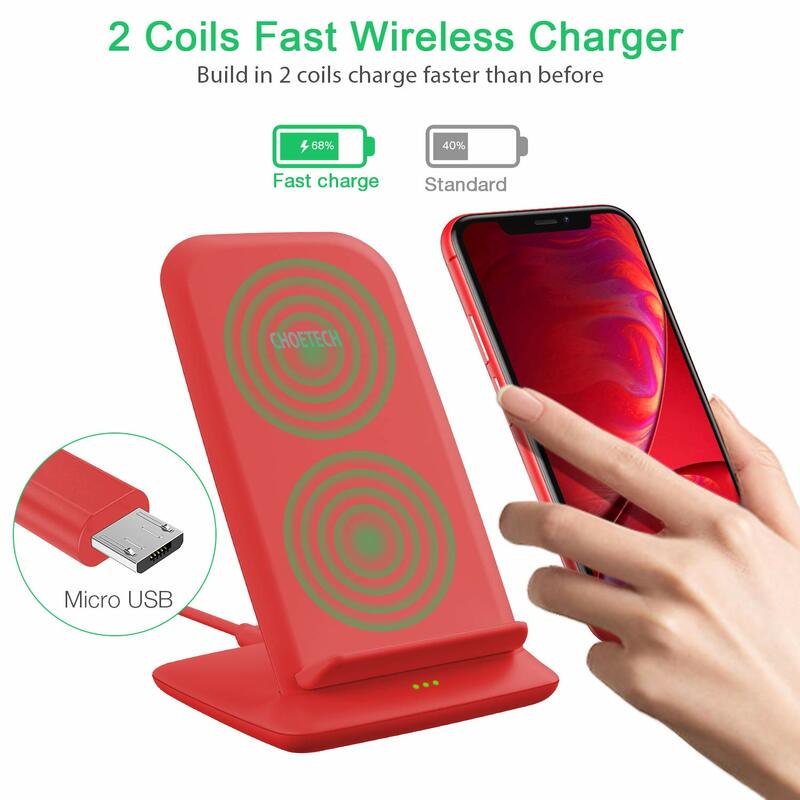 【One for All 】Works at high speed with most wirelessly-charged phones, including the latest iPhone X/ XS / XS Max/ XR/ 8/ 8 Plus (7.5W), Samsung Galaxy S9, S9 Plus, S8, S8 Plus, Note 9, Note 8, S7, S7 Edge, S6 Edge+ phones (10W) and all Qi-Enabled Phones (5W). 【Wider & Safer Charging Area 】Built-in 2 coils offer a wide charging area, which allows you to place your device in either portrait or landscape position. Featuring over charging and over temperature protection, never overcharges your battery or wastes energy. 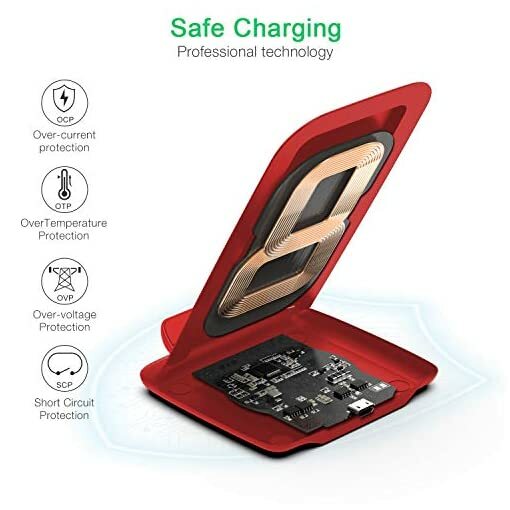 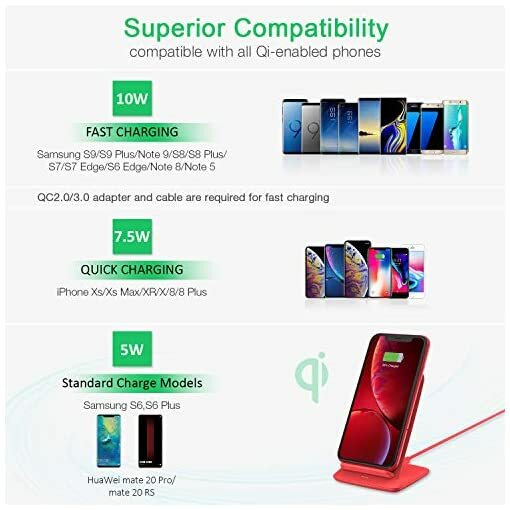 【More Stable Charging】Our wireless charger edge adopts aerodynamic design concept, which makes the wireless charging more stable and firmer, and the four anti-slip rubber feet at the bottom to ensure stability, no worry about charging. Our wireless charger can identify your phone sensitively and support phone case within 5mm(0.2 inch) while 4mm(0.16 inch) is the best wireless charging distance (Please note that metal attachments or credit cards will interfere with charging ). 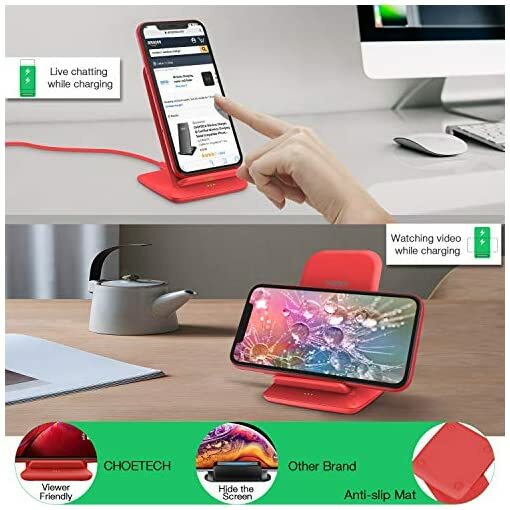 【Versatile Viewing】Charge vertically or horizontally for ideal use with Face ID, keeping track of messages, or watching videos, making phone calls hands-free, live chatting and anything else you may do at office or home. 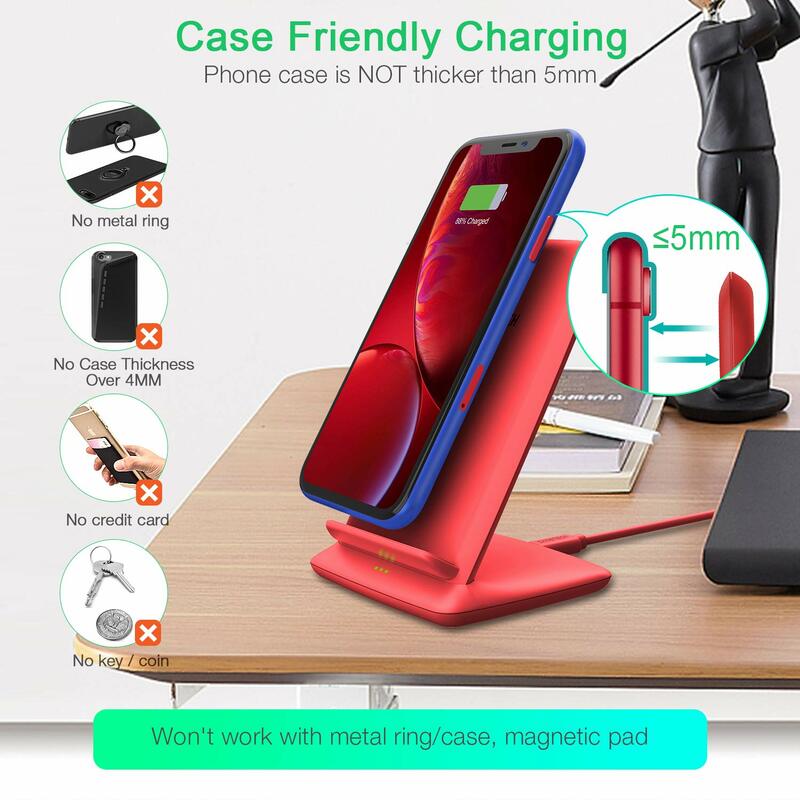 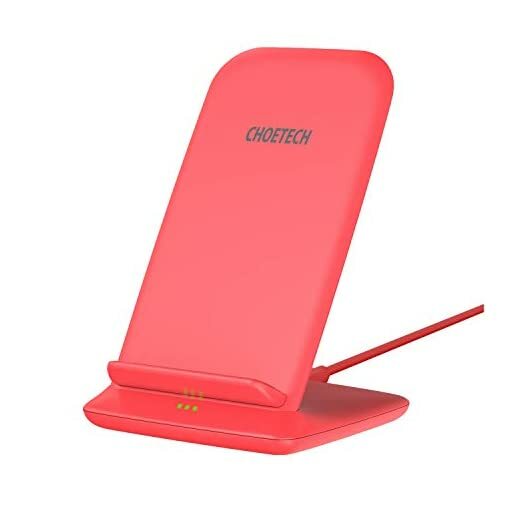 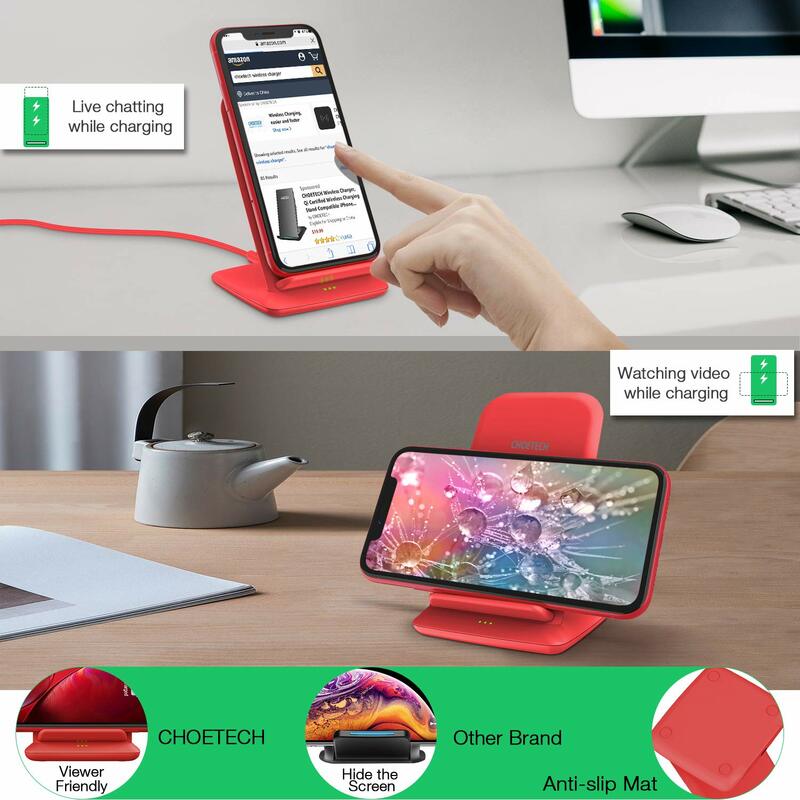 【What You Get 】 1 x CHOETECH Fast Wireless Charger Stand, 1 x 3.3ft Micro USB Charging Cable (NOT including the adapter) , 1 x User Manual, 18-month warranty.